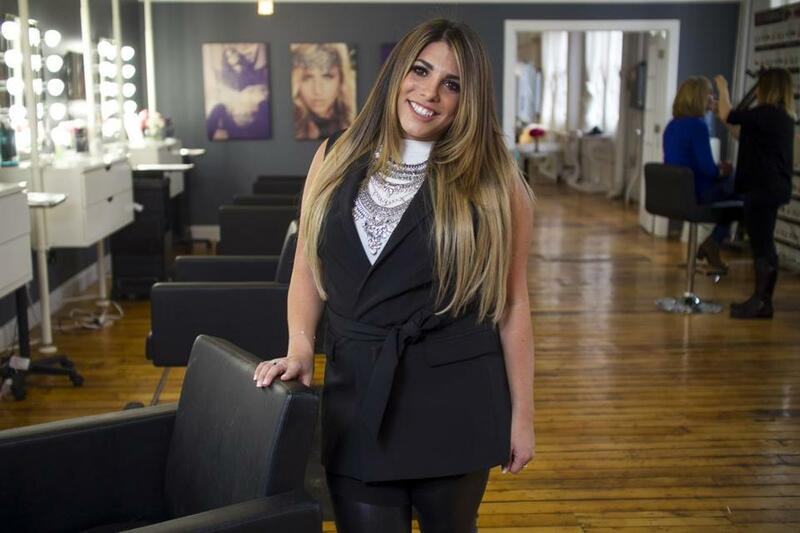 Framingham resident Rachael Rubin, 25, has turned a hobby of taking her friends’ photos after doing their hair and makeup into an all-inclusive business combining both interests. Clients can enjoy the salon and photography services of Beauty PaRLR and RLR Studio, respectively, or the full experience capturing both their inner and outer beauty. Rubin, the lead makeup artist and photographer, moved her business into a 3,800-square-foot space within an industrial mill building in Framingham two years ago. Q. What is the idea behind the business? A. We’re reinventing the concept as a one-stop shop for beauty for all the different aspects of life. Say a woman in her 30s comes in regularly for a cut and color. When she gets engaged, we do her hair, makeup, and spray tan before she gets in front of the camera for an engagement portrait. We go on location for her wedding, later on we do her maternity and newborn photos, and in between we help maintain her regular beauty regimen. Q. Are women your target market then? A. The majority of our clients are women, but a lot of men come in for a trendy cut — something different than just getting their hair buzzed — and facials, too. We also do a large number of senior portraits and corporate headshots, so men come in for those as well. With 23 people on staff, we cater to everyone from celebrities and fashion models to soccer moms and senior citizens. We’re bringing the city to the suburbs. Q. Are you adding new services? A. I’m always looking to stay on trend, as long as we keep the same high quality. One of our most popular hair services now is balayage, which is hand-painting highlights for a softer, more natural look. We also just started offering reiki, a healing technique that’s good for stress relief. Beauty comes from within, and if we can help people feel more balanced inside, then I believe that’s also captured on camera. Q. What is your vision for the business? A. I love that we’re making so many people look and feel amazing. Five or 10 years down the road, I hope we’ll be doing exactly what we’re doing now, but on a larger scale. I’m very happy where we are right now. Beauty PaRLR and RLR Studio are located at 1 Watson Place, Building 3, in Framingham. For more information, visit beautyparlr.com or rlrstudio.com.